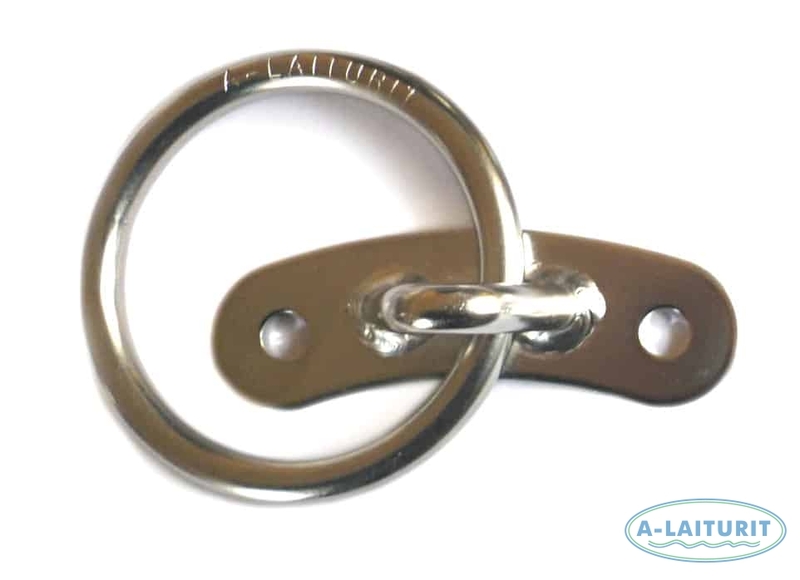 Stainless mooring ring for boats. Fastened to the wooden deck of the dock to provide a mooring point for small boats. Because of its small size it can also be attached for example to a pole or to the side of the dock. If the boat is moored sideways to the dock, it should be attached to three rings. If one end of the boat is moored to a buoy or boom, at least two mooring rings are required. For attachment ropes so-called rubber springs are recommended as they dampen the effects of hard winds and waves. 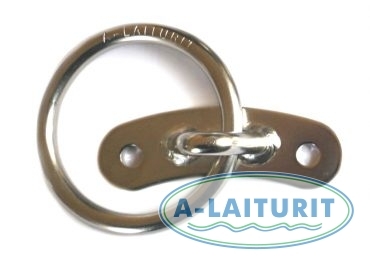 The product is stainless steel, fasteners included.